San Diego has a rich history with its earliest inhabitants dating back nearly 9,000 years. Its beautiful natural scenery, pristine shoreline and abundance of cultural and historical sites attract millions of visitors each year. But amongst all this there exists another side to America’s Finest City – the darker, more mysterious side that draws in those intrigued by the paranormal. And it’s no surprise that in a city so many centuries deep in history there are places where the spirits of the dead seem to linger. Not wanting to move on to the other side, they appear in many different forms. Whether intending to haunt or just tormented by their uncertain existence, their presence has been witnessed time and time again. 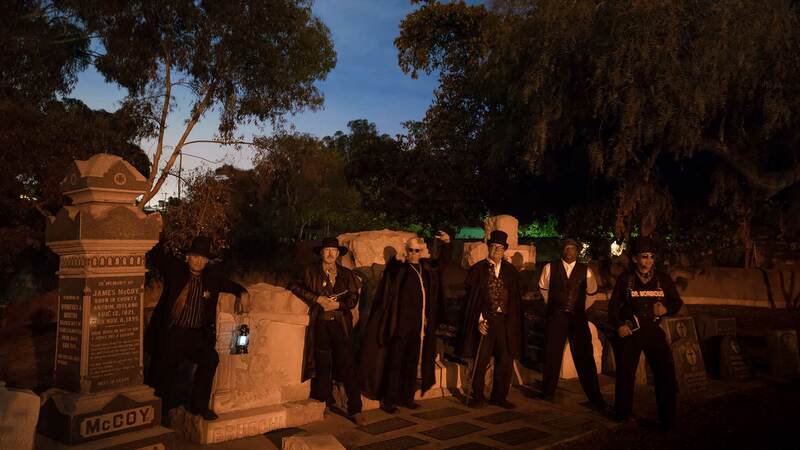 El Campo Santo Cemetery is one such place – a seemingly peaceful burial ground where many of San Diego’s deceased were laid to rest for all eternity. The cemetery, located in the Old Town San Diego Historic Park, was built in 1849 and was used until 1880. It’s just a few blocks away from the city’s most haunted building, The Whaley House. Founded as a Catholic cemetery, today only 477 of the original graves are still visible. It is said that the burial ground is only a fraction of what it used to be. All seemed to be well at El Campo Santo until the city began to grow and the needs of the living seemed to supersede the respect for the dead. So when the people in San Diego saw a need for more roads, several graves were removed and relocated. A horse-drawn streetcar line was constructed that ran right through the cemetery, and later, this same streetcar line became a modern road. Many graves were just paved over – leaving the souls of the dead trapped under the road. 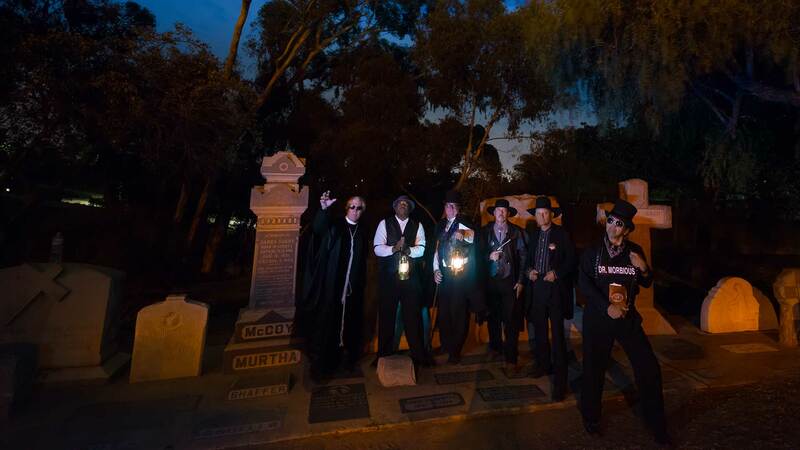 What began to happen next is the reason paranormal experts have continuously investigated El Campo Santo Cemetery. Residents and business owners in the surrounding areas of the cemetery have reported witnessing disturbing poltergeist events: Inexplicable electrical outages, lights going on and off and appliances and alarms systems going off for no reason at all. Could it be the spirits of those whose bodies were so grossly disrespected crying out? Many seem to think so. Visitors to the area have also been spooked by their car alarms going off or being unable to start their vehicle when they parked in the lot in front of the graveyard – another sign that the souls of the dead were not happy. But perhaps the most telling indication that El Campo Santo Cemetery is haunted is the fact that several ghosts have been seen including the ghost of Yankee Jim Robinson who was hung on the property of the Whaley House before it was constructed. Witnesses have recounted seeing other apparitions as well – some dressed in period costume, others that seem to glide above the graves then disappear as they are approached. Freezing cold spots and floating orbs, flashes of light and shadowy figures have also been reported. Is the El Campo Santo Cemetery truly a host for paranormal activity? Visit this historic burial ground on the Ghosts and Gravestones Tour and discover the truth for yourself. Bring along your camera, as many folks are shocked to find interesting things appearing in their photos that were invisible to them while they were there.